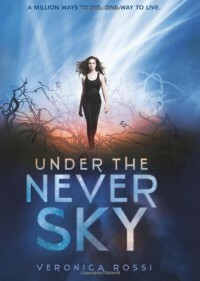 Another great release this January, Under the Never Sky delivers everything I expect from a good dystopian. I loved the characters, loved the plot, loved the premise. It's sometime in the future and after the planet has been ravaged by strong energy storms caused by an ever-present Aether in the sky, part of humanity has been forced to retreat to pods or safe places where they live their whole lives enclosed in order to feel safe. In order to live their lives with some kind of normalcy and to not die of boredom out of being trapped inside the pods, scientists invented the Realms, virtual worlds where people are able to create their own virtual realities, change their appearance, or visit any place with a simple thought. Aria, the main character, grew up in one of these pods and these realms are all she knows. Aria's life changes one day as she agrees to accompany a group of friends who end up breaking into a pod that has been abandoned. As they disconnect from the realms and step into reality, some of them can't handle the change and begin a fire that spins out of control, causing destruction and death. While insanity takes over the group and Aria gets attacked, an Outsider named Perry who had broken in to steal medicines, watches from a tree above. He steps in to help an unconscious Aria and brings her to safety by enclosing her in a separate chamber where the fire never reached. When Aria wakes up she finds that her life has completely changed. As one of the two survivors of the incident, and the other one being the one who attached her and son of a powerful man, she is being blamed for the entire thing. 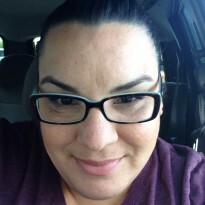 She defends herself, placing the blame on the guilty party, so to silence her she is thrown out into the real world, with no way of defending herself or a chance or survival. Perry finds her and develops an anger towards her because he lost someone close as a consequence of helping her before. He has set out to find his nephew Talon who was kidnapped by Dwellers, the people that live in pods such as Aria did before, so he makes a deal with Aria to become allies. Perry's goal is to find his nephew and Aria's to find her mom, who Aria lost touch with and is unaware of what has happened with her. Aria and Perry set out on a journey where they both learn things about themselves and each other that they weren't aware of. They both struggle trying to accept their new realities, both in mourning over people and lives lost. Everything they've ever known to be true is questioned and an unlikely partnership, and love, slowly builds under the never sky. I think what I liked most about the story was the way that Aria and Perry got to know each other well before they were able to accept that they even liked each other. No insta-love alerts went off in my head and I truly appreciated that. I felt that a lot of questions were left unanswered at the end and I was a bit frustrated by that, but since this will be a series I expect answers to be revealed in subsequent books. I give this book 4 stars out of 5. An awesome read and my last book of 2011. What a great way to end the year.